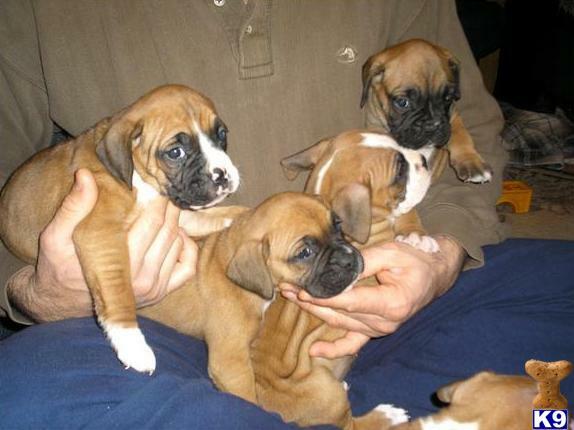 Gorgeous boxer puppies looking for their forever homes.2 males and 4 females available. We have a beautiful Top quality Pedigree KC Reg. 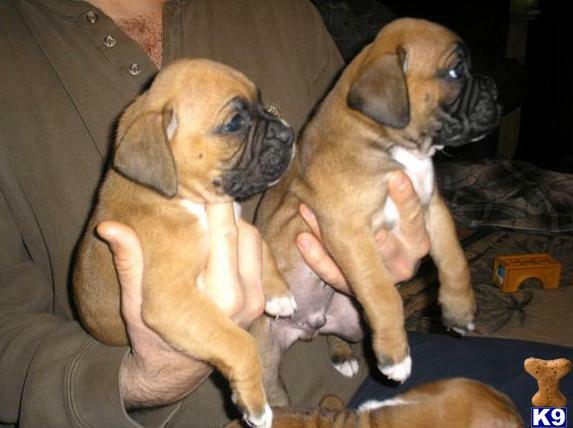 Boxer Puppies. Beautifully marked Tan, with some having white faces and some with black. All stunning puppies with amazing markings. They have been vaccinated and micro chipped. Wormed every two weeks and handled daily. Will only be sold to loving homes. They have been raised inside the family home. Well loved little puppies.All pups have been vet checked,health checked, regularly wormed, have been vaccinated and microchipped before going to their new families.The parents are our family pets both have great temperaments. Growing up in a loving family home environment with 2 young girls hence the names which can be changed but are easier for identifying pups of interest. They are purebred unpapered. Both parents are available we own both mum and dad so they can be viewed when choosing a pup. Both have wonderful, loving temperaments. 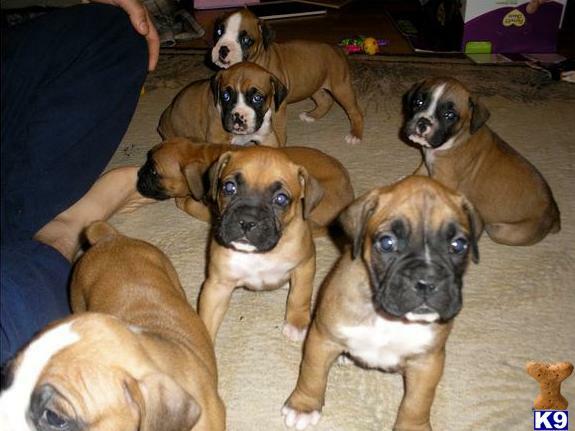 Please Contact via email for further information or any extra photos about these gorgeous pups. Currently we have definitely sold Rexand most likely sold Pumpkinand Jake. 2 males and 4 females left - Ive updated with some more recent photos.